I’ve kicked off the year full of enthusiasm to completely redesign/decorate the house. Considering Ben’s abilities in the interiors department (see: Limewood, Mr and Mrs Fox, Butcher and Baker) we’ve been surprisingly relaxed about our home. I guess that’s one of the frustrations of renting, buttttt I know from experience there are so many things that you can do to your place that won’t sacrifice your security deposit. 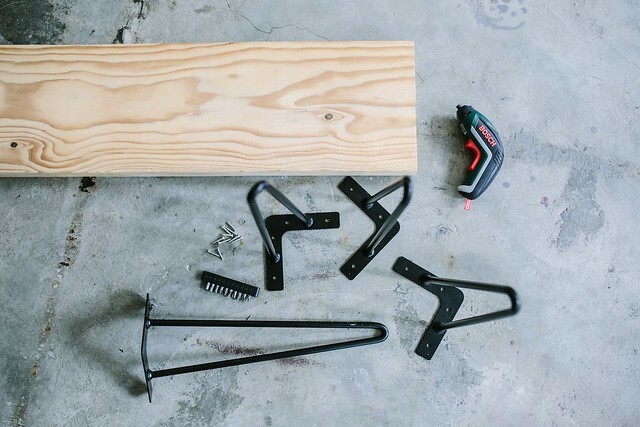 A little DIY furniture is a great place to start! 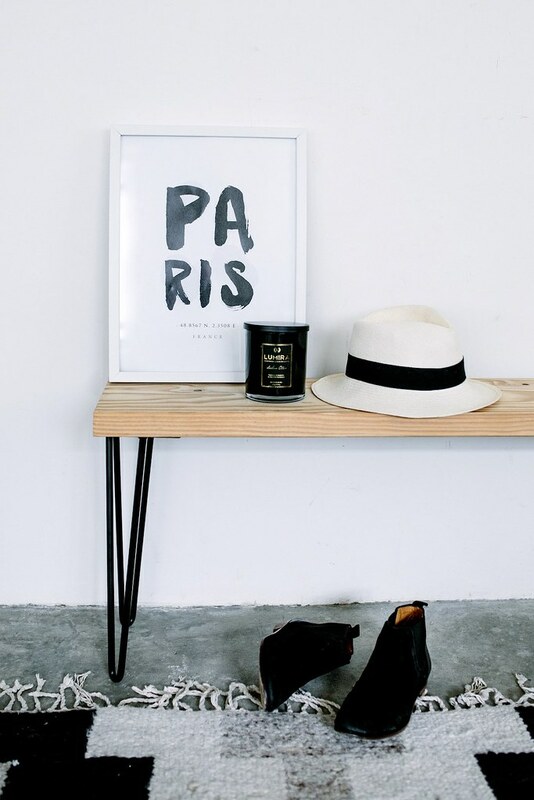 I’ve been pinning entryway ideas (so grown up!) 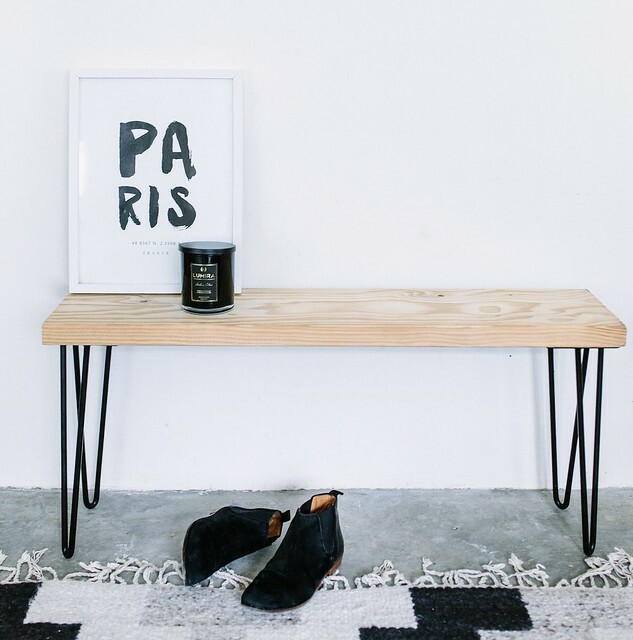 recently and our little entry nook is going to be the first place that gets my attention, starting with a quick bench. Easy to make and with a hairpin leg that modernises (or should I say, midcentury modernises) you space. 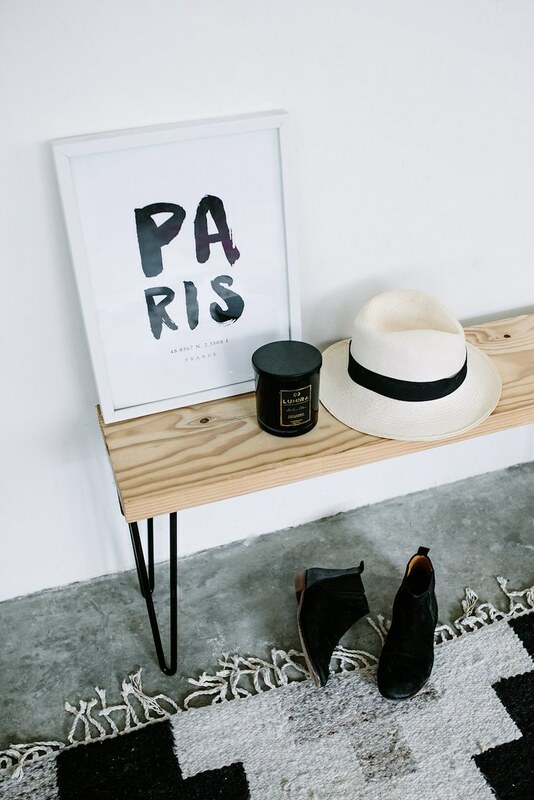 Throw in the right rug, a few framed photos some plants and you’re good to go. Hair pin legs (I got mine from here). A drill and screws or nails and a hammer. 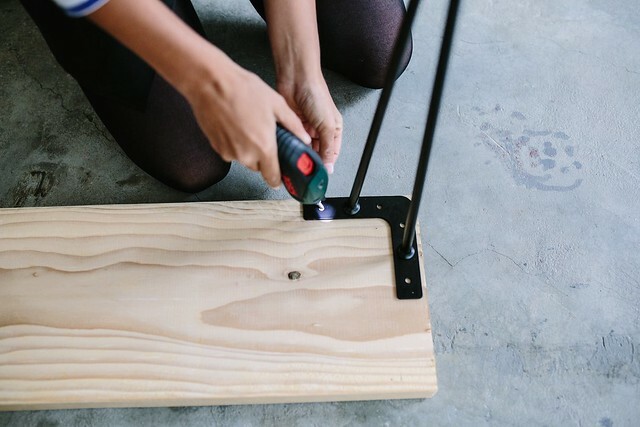 This project is as simple as they get – simply mark where you want to put your legs and then screw them in. Once you find the right materials, you’ll be done in under five minutes. Now, what else can I screw some legs to?